ok, now it’s officially showtime! 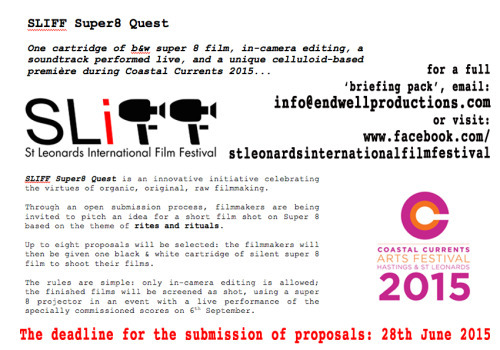 The St Leonards International Film Festival (SLIFF) and Coastal Currents 2015 are proud to present “SLIFF Super8 Quest”, an open call for original film ideas explored through a single cartridge of super 8 on the theme of rites & rituals. A bit on the lines of the SLIFF Challenge (https://www.facebook.com/stleonardsinternationalfilmfestival/photos/a.308666719224857.69382.293209854103877/376378675786994/?type=1&hc_location=ufi), but bolder and more audacious. keep your polaroids peeled! 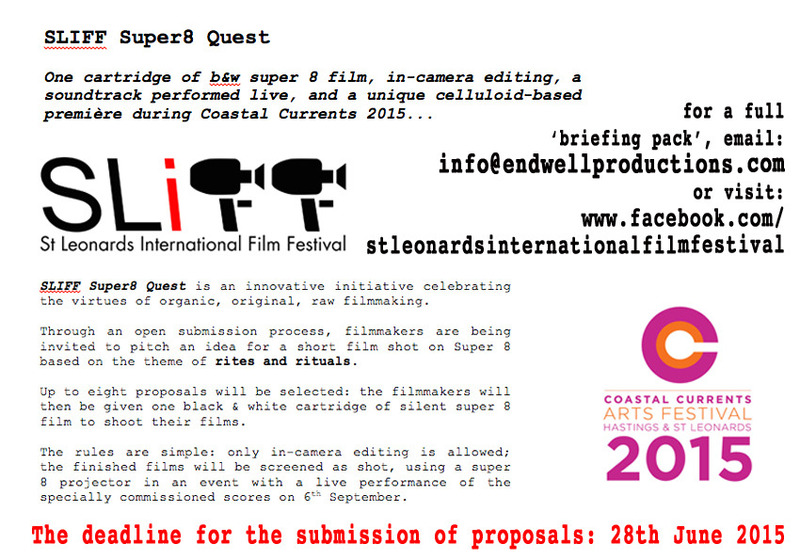 Deadline for submission of proposals 28th June!! x m.